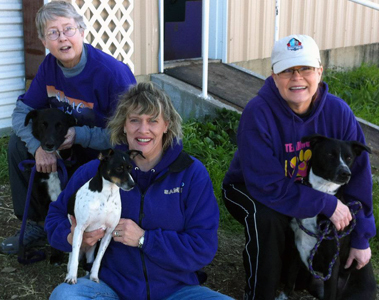 Run As One Agility is committed to helping facilitate placements of dogs who have been rescued by various organizations. Ed and Cathy have fostered and helped find homes for a number of deserving dogs and owners over the years. If you are a member of a rescue organization in need of placement assistance for a specific dog, please contact Run As One Agility at edart1@verizon.net. (UPDATED 3/4/2013) No Current Dogs on our list. Please check back often. Thank You! 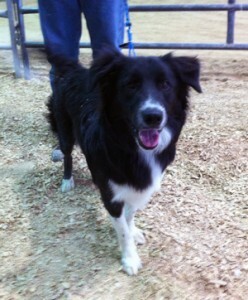 (UPDATED 3/4/2013) Suki the terrier/border collie mix found a home on Saturday March 2nd. (UPDATED 7/ 31/2012) Gunner was adopted in July 2012! Please see our blog for details. 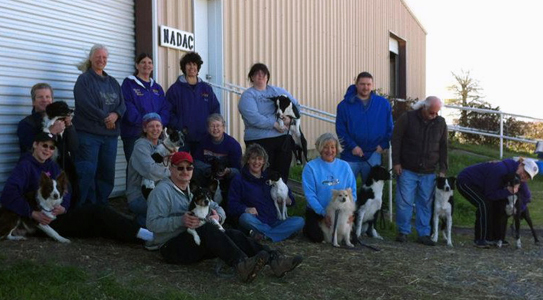 Here is a shot of some of the NADAC Rescue dogs that attended the 2012 New Year’s Trial, some of which we helped facilitate homes for and others who were placed by the wonderful people at NADAC Rescue. © 2012 Run as One Agility, LLC.